Harness the Power of Faith-based Optimism! MLK Day — Are We There Yet? Kids have been asking this question since families pushed across the country in covered wagons. On Martin Luther King, Jr. Day, it’s important for us to come out and say it again. 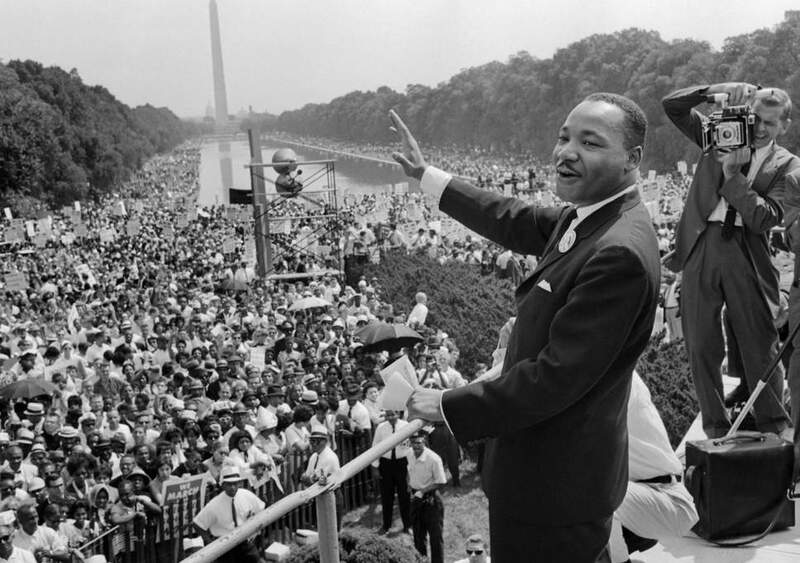 So much good has happened for racial equality, and we need to celebrate the gains since the days Dr. King spoke at the Washington Monument. But we have to be honest. We’re not there yet. This journey is far from over. Racism is not dead in America. It lurks in human hearts, sometimes hidden, sometimes overt. The inequality, prejudice, mistrust, and division continues to feed on the ignorance, fear and pride in our hearts. We remember King’s “I have a dream” speech and it’s important to remember the sharp prophetic word from the Bible in which it was anchored. The prophet Amos spoke harsh words to God’s people because they thought they could go to worship services and sing songs to God and make offerings to God without it affecting the way they lived in daily life. (See Amos 5:21-24). They turned a blind eye to injustice. They ignored the inequality around them. Then they went to church and sang worship songs. Then in Amos 5:24 God reveals what he desires. 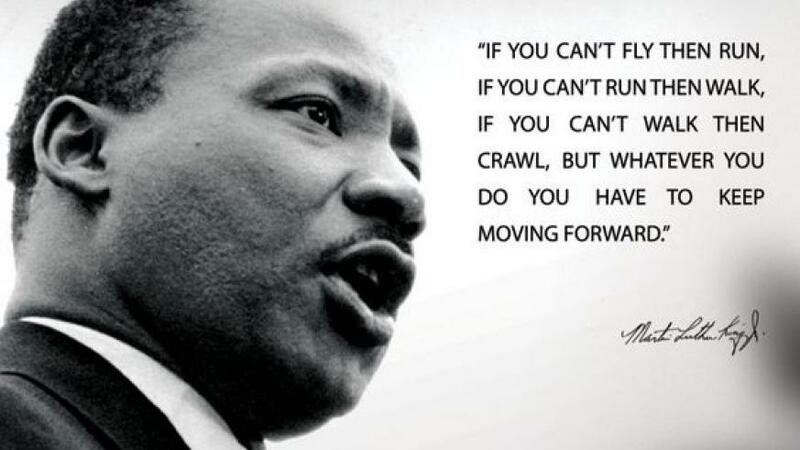 These are the words MLK quoted so often. Justice is to roll down from the Mountain of God right through our hearts so the right thing is done in our lives and in our churches and in our neighborhoods and workplaces and in our country. THAT is how God’s people worship God – we bring his justice and righteousness to earth. There is no doubt how God views the racial divides in our country. Don’t lose sight of the clarity scripture gives on this issue, or of the beautiful vision of MLK’s dream which echoes the refrains of scripture. I don’t mean to take away the strides we’ve taken to this point. We should be grateful and hopeful. But we must not be content. On MLK Day may we all be disturbed by a holy discontent, a God-sent dissatisfaction with where we are on the race thing – so that we will be MOVED together to where God wants us to be. Don’t be one of the people who pretends there isn’t any issue. Don’t ‘be one of the people who makes it all about politics. Don’t be one of the people who gets so defensive or angry that you block progress. Don’t be one of those people who says you’re just tired of talking about it and pretends that makes everything go away. Don’t be one of those people who figures it’s someone else’s thing to worry about. This is all of us, on a journey, to become a Jesus-shaped people. Pray today for humility and repentance in your own heart. Decide today to speak with grace but truth and conviction when God opens a door to do so, for the dignity and equality and opportunity for all people. Decide to use your influence to change systems and structures that perpetuate ungodly racial patterns. Choose to build some bridges between people who are not like you, being a gracist who conveys reconciliation and love in the way you live with others. Open your heart to the love of Jesus, so that your hands, heart, wallet, and home also open up in ways that make for real change in this issue. Sunday, I met a woman at Mountain who said it was her first time with us. She was African American and said she had seen and heard about Mountain for a long time. She tried to get closer to God in a church a while back, but when she finally asked if she was welcome there, they said they were pretty much all white, so…. So here she was at Mountain, ready to take the risk again. I watched as so many reached out to her, talked with her, welcomed her – and she was lit up with a smile as she saw the ethnicities and colors and races and ages and wide range of people in the Commons. She said, “Thank you! I feel like I’m home!” She reached out for a hug and I knew like something important was happening – not just in her, but in the eyes of God. I walked her to the worship area, and was glad an African American woman and her daughter were there handing out bulletins. I introduced my new friend. Without missing a beat the greeter said, “Welcome!” and threw her arms around her. I walked away knowing that, for the moment, my work was done. But don’t be fooled. The work is far from over.